Born in the East End of London, virtuoso vocalist, actor and composer Cleveland Watkiss (MBE) studied the voice at the London School of Singing with opera coach Arnold Rose and at the Guildhall School of Music and Drama. Cleveland was also one of the co-founders of the vastly influential Jazz Warriors big band. 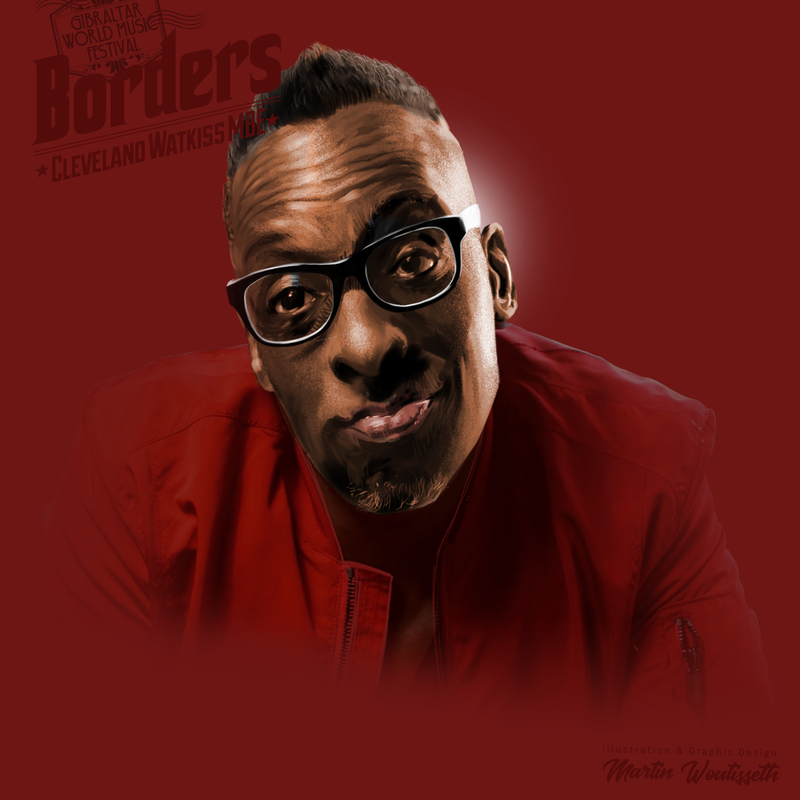 His vocals can be heard on their debut album, Out of Many People, which won a video award in Japan.Cleveland was the Original host/MC for Goldie’s (World famous) Metalheadz sunday sessions at the Bluenote club in Hoxton Square. Cleveland was then entered for the Wire/Guardian Jazz Awards and was voted best vocalist for three consecutive years,In 2017 he was nominated for a MOBO Award,and in the same year recieved the Parlimentery award for best jazz vocalist 2017! he was the opening act of choice for two of the worlds greatest female jazz vocalists Cassandra Wilson and Abbey Lincoln. John Fordham, the Guardian music journalist accurately describes Cleveland as “arriving on the scene with a bang”. His amazing vocal experiences have seen him perform with many diverse artists from around the world such as the Royal Philharmonic Orchestra, the Dusseldorf Symphony Orchestra, Wynton Marsalis, Bob Dylan, Jackie Mittoo, Keith Richards, the James Taylor Quartet, Art Blakey, Sly & Robbie, Abdullah Ibrahim, Stevie Wonder, Patife, the Liepaja Symphony Orchestra, Nigel Kennedy, Carlinhos Brown, Robbie Williams, Joe Cocker, The Who, Branford Marsalis, George Martin, Julian Joseph, Bocato Big Band, Lisa Stansfield, Courtney Pine, Janet Kay, Maxi Priest, Soul II Soul, the London Chamber Orchestra, Kassa Mady, the BBC Orchestra, Goldie, Cassandra Wilson, the Kenny Wheeler Big Band, Sugar Minot, Talvin Singh, Bjork, Pete Townshend, the London Community Gospel Choir [LCGC] and many many more. Cleveland is also a very keen music educator, working as a voice instructor at workshops in venues, schools, colleges and universities around the UK. He also designed the vocal curriculum for BA students at The Weekend Arts College [WAC] in North London, and is a regular facilitator and voice coach for the Artist Development Programme [ADP] at the Hackney Empire Theatre in East London. More recently, demonstrating great versatility, Cleveland Watkiss was cast as the starring role in Julian Joseph’s two groundbreaking Jazz operas, Bridgetower and Shadowball, to considerable acclaim. Cleveland has and continues to perform in many of the major concert halls, festivals and clubs around the world with his VocalSuite, a solo voice performance, and with his new quartet, CWQ, and the UK All Stars Group.